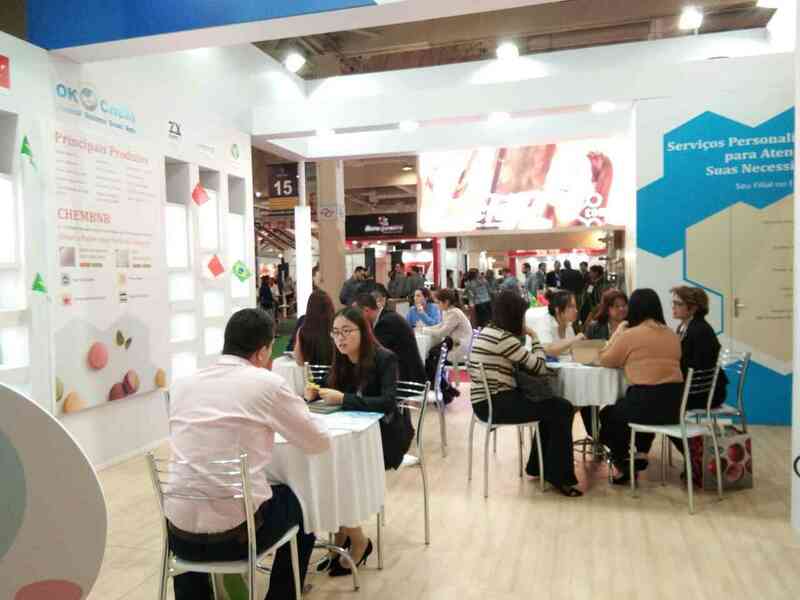 The grandest gathering of food industry in South America opened on August 21 (São Paulo time). OKCHEM , as one of the most professional B2B platforms for food ingredients and other chemicals, also began a three-day trip to Brazil. 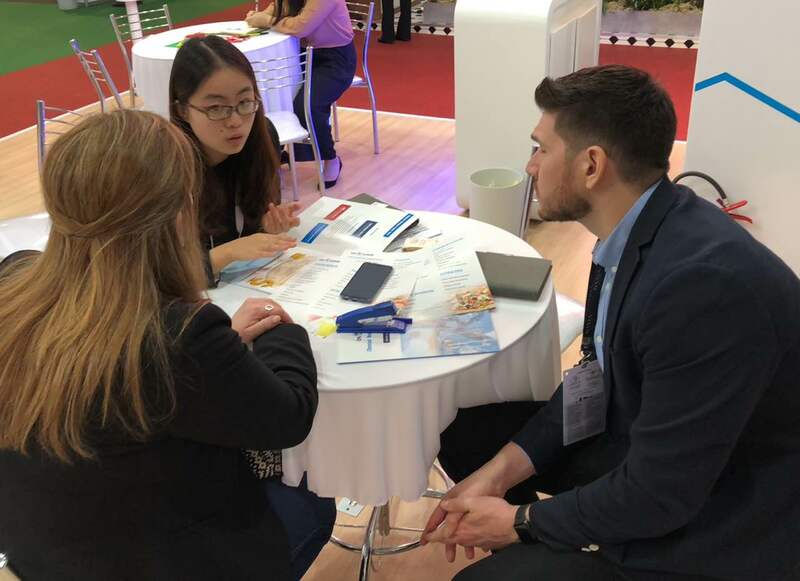 Though it is the second day, there are still thousands of industry professionals flowing into the show, and many of them have been attracted to our OKCHEM booth (#16-20) , the first booth near the main entrance. Let’s take an over look how crowded it is! Today, OKCHEM have received hundreds of customers, 84.51% of them were local Brazilians and 12.68% were from other countries in South America such as Peru, Argentina, Chile and Bolívia. At the show, different customers have shown different interests. Buyers are mainly interested in sourcing and financial services while suppliers have shown great interests in our customized services which can help explore the Chinese market. Our OKCHEM team at FISA 2018 are busy in providing the best solutions to the our customers based on their requirements. Many customers say that the customized services on OKCHEM may help them solve a lot of problems in the foreign trade and will help their business grow. We appreciate every comments from our customers, both the suppliers and buyers, and will carefully listen to their requirements in order to provide better services in the future, hoping that OKCHEM could be known to everyone in the industry. Either you want to source the quality food ingredients at lower prices or want to expand overseas markets to increase sales, see us at booth 16-20, there is only one day for the biggest event to go, do not miss it! OKCHEM-Bye FISA, Hello Fi India!